Country plans to treat vaping like smoking. Government officials from New Zealand are getting serious with the treatment they intend to display to the burgeoning vaping industry. The country’s elected representatives plan to create legislation that will group e-cigarettes with traditional cigarettes, according to news.com.au. Currently, New Zealanders are banned from smoking in bars, restaurants, and other public businesses. In the near future, vapers may receive identical treatment. Also, the display of vaping products at retail stores could be scrutinized. New Zealand Associate Health Minister Jenny Salesa announced on Nov. 23 the government’s intentions, news.com.au reported. “Vaping is a significantly less harmful alternative to smoking and it has been used as an effective tool to quit smoking, however, it is not completely risk-free and that’s why we need to make it as safe as possible and protect young people from taking it up, Salesa said. Combating the presumptive moves against vapers by government officials, Tobacco Control General Manager Mihi Blair said any new regulations could have negative effects for smokers who wish to utilize a safer alternative to using e-cigarettes as a bridge to becoming smoke-free. “I’m concerned that these regulations will limit smokers’ access to vapes and fruity flavors which research and communities tell us are an appealing draw card towards vapes when transitioning from cigarettes. It would be great if nobody ever smoked anything again, but this is the real world we live in,” Blair said. Boasting a steady decline in smokers over the past two decades, the island nation of New Zealand is comprised of the North Island and South Island and about 600 smaller islands. It has a population of nearly five million, many of whom are turning away from cigarettes. While more than 605,000 New Zealanders continue to smoke, more than 700,000 have quit, according to smokefree.org. With New Zealand government getting serious over new regulations, vapers will have to brace for prohibition – on all the islands. 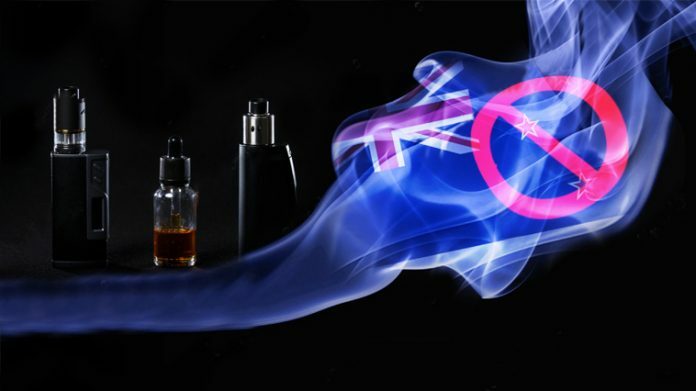 Want more global vaping news like this New Zealand vaping ban? Be sure to check out our News page for the latest!